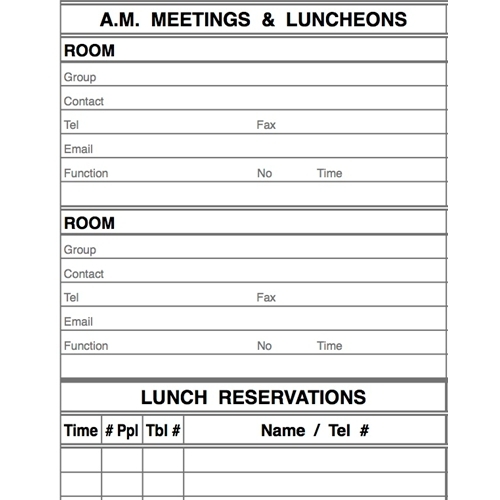 Combine the attributes of function and table reservation books in one with this table/function book. A well-made, attractive, economical book, this ultra light book comes pre-designed. It features a sturdy plastic cover with double loop, metal binding and dates on each page. Our lowest priced offering is still a high quality product.